Capsule Leisure 2 Pack Long Sleeve Tee is rated 5.0 out of 5 by 2. 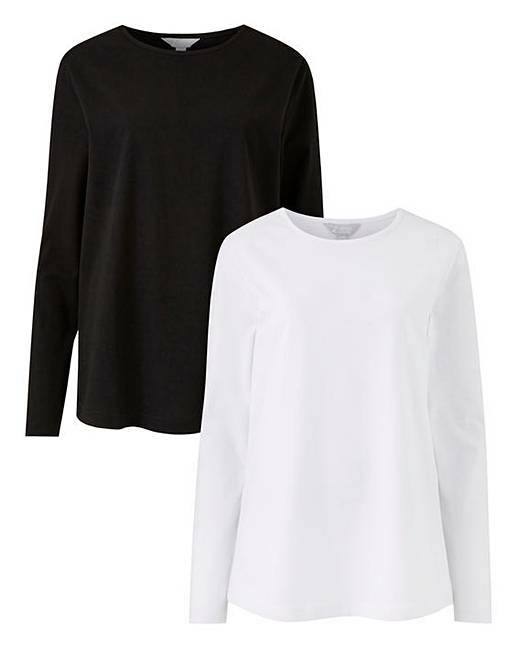 Our 100% cotton long sleeve T-shirts come in a pack of black and white. Perfect to add to your leisure wardrobe or for everyday wear. Wear with our joggers or leggings. Rated 5 out of 5 by Lene1976 from Comfy wear Brought as a comfy top to wear under a long cardigan. Very happy with my purchase.